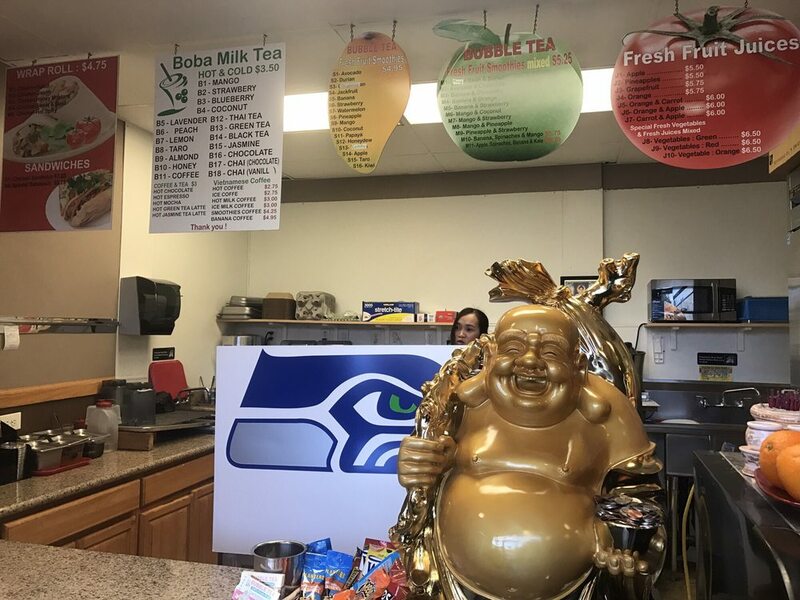 You won’t find powdered teas and flavorings at Quyen Huynh’s Bubble Tea Fresh Fruit Juice. Fresh produce and real ingredients make refreshing smoothies, juices, and bubble teas a handmade treat. Pair any drink with a Banh Mi or fresh wrap for lunch on the go.